Draft: 2006, Chicago White Sox, 30th rd. Héctor Felipe Santiago graduated from Bloomfield Vocational Tech (NJ) in 2006 before attending Okaloosa-Walton (FL) Community College ...Is of Puerto Rican descent...Pitched for Team Puerto Rico in the 2017 World Baseball Classic...For years, has sponsored and supported "Santiago's Soldiers," a charity that aids inner-city kids in the United States...Is currently supporting hurricane relief in Puerto Rico following Hurricane Maria...In 2015, was the Angels' nominee for the Roberto Clemente Award…Hosted "Santiago's Soldiers" events at Angel Stadium ...Was Chicago's 2013 nominee for the Roberto Clemente Award and Marvin Miller Man of the Year Award. Primarily pitched out of the bullpen for the first time since 2012... As a relief pitcher, owned a 3.87 ERA (32 earned runs/74.1 innings) over 42 games...In seven starts, had a mark of 6.12 (22 earned runs/32.1 innings)...Fanned 103 batters in 102.0 innings...Averaged more than one strikeout per inning for the first time since 2012, when he struck out a career-best 10.1 batters per nine innings...Threw at least 2.0 innings in 17 of his 42 relief appearances, tied for the sixth-most such outings in among AL relievers...Posted a 0.65 ERA (two earned runs/27.2 innings) in 17 games between July 25-September 24...Went 3-0 with two saves and 36 strikeouts (11.71 strikeouts per nine innings) in that span...Held opponents to a .222 (22-99) average with runners in scoring position and a .182 (2-11) clip with the bases loaded. Was limited to just 15 appearances due to shoulder and back injuries in his second season with Minnesota ... Went 4-1 with a 2.76 ERA (13 ER/42.1 IP) in his first seven starts from 4/5-5/9 and 0-7 with a 9.96 mark (31 ER/28.0 IP) in his final eight games (seven starts) from 5/14-7/2 ... Earned the win in his season debut on 4/5 vs. Kansas City, allowing one run on four hits over 5.0 IP ... Was on the Bereavement List from 4/28-5/2 due to the death of his grandmother ... Was on the disabled list from 6/7-27 with a left shoulder strain … was placed on the disabled list a second time on 7/3 with upper thoracic back pain and missed the rest of the season ... Made three appearances for Team Puerto Rico in the WBC. Began season with Los Angeles-AL and was club's number three starter. Earned first win of season in third start April 18 at Chicago-AL, pitching 7.0 shutout innings with two hits allowed and a season-high 10 strikeouts; tied career-high, third time in career. Went 6-0, 1.78 ERA (35.1 IP, 7 ER) with 21 walks and 34 strikeouts in six July starts; led baseball in wins during the month. Set career-high with seven straight wins June 15-July 30, posting a 2.52 ERA (53.2 IP, 15 ER) in that span. Set single-season career-high with 10th win July 30 vs. Boston, allowing two runs on four hits in 5.0 innings pitched. Was acquired via trade with Los Angeles-AL August 1, along with right-handed pitcher Alan Busenitz, in exchange for right-handed pitchers Ricky Nolasco and Alex Meyer. Made Twins debut August 4 at Cleveland, allowing four runs on five hits in 5.0 innings pitched and was issued the loss. Made 11 starts for the Twins, going 3-6, 5.58 ERA (61.1 IP, 38 ER) with 22 walks and 37 strikeouts. Led the AL in walks (79). Pitched 6.0-plus innings in 16 starts and 7.0-plus in six starts...finished with 13 quality starts, the second most of his career (15 in 2015). Went 7-4, 3.40 ERA (92.2 IP, 35 ER) in 16 road starts and 6-6, 6.04 ERA (89.1 IP, 60 ER) in 17 home starts (Target Field and Angel Stadium). Set career-highs in starts (33), innings pitched (182.0), walks (79) and wins (13). Pitched in 33 games (32 starts) for Angels and compiled a 9-9 record and 3.59 ERA (180.2 IP - 72 ER) with 162 strikeouts... Set career-highs in wins, starts, innings pitched and strikeouts. Among American League leaders, ranked fourth with a 2.65 home ERA (98.1 IP - 29 ER), fifth with a 2.94 day game ERA (52 IP - 17 ER) and sixth with a .227 (156/687) batting average against. Named to American League All-Star team…First All-Star selection of career… Finished first half with a 6-4 record and his 2.33 ERA (108.1 IP - 28 ER) ranked third in the league at the Break…Did not pitch in All-Star Game in Cincinnati . Allowed one-or-fewer earned runs in 11 of 32 starts... Tied for 10th most in American League... Streak of five consecutive starts (June 22 - July 20) allowing one-or-fewer runs ti ed for second longest streak in Angels history (Dean Chance - 7 consecutive starts in 1964). Held opponents to a .197 (26/132) batting average with runners in scoring position... Ranked third among A.L. pitchers and sixth in the Majors. Made only relief appearance of season June 6 at Yankee Stadium…Tossed 3 2/3 scoreless innings… Marked longest relief outing of the season by any Angels pitcher… Has pitched a total of 13.1 scoreless frames across seven career relief outings with Halos. In 16 starts against A.L. West division opponents, went 6-1 with a 2.53 ERA (92.2 IP - 26 ER). Finished first season with Angels with a 6-9 record and 3.75 ERA (127.1 IP - 53 ER) in 30 games (24 starts) in 2014...Opened the regular season in starting rotation but was moved to the bullpen following start on May 7 vs. Yankees...Optioned to Salt Lake May 21...In three games (all starts) for Salt Lake, went 1-1 with a 6.43 ERA (14 IP - 10 ER) and nine strikeouts...Recalled from Triple-A Salt Lake and rejoined rotation prior to start June 10...In final 21 games (17 starts) following return from Triple-A, went 6-3 with a 3.30 ERA (90 IP - 33 ER)...Set new career-high with five consecutive winning decisions from July 10 - Sept. 9...Allowed one-or-fewer runs in 10 separate starts and had a no-decision in seven of those contests...Is one of three players in A.L. history to have seven no-decisions in a season in starts when allowing one-or-fewer runs (also, Pedro Martinez - 8 ND in 2003 & Brad Radke - 7 ND in 2004)...During month of Aug., pitched to a 1.93 ERA (28 IP - 6 ER) but Angels went 1-4 in his five starts...Did not allow a run in 9.2 innings pitched as a reliever (six hits allowed)...Angels scored a total of three-or-fewer runs in 16 of 24 games he started...The Club scored a combined total of 20 runs across his first nine starts of the year...Halos scored a total of just 54 runs with him in the game as the starting pitcher (117.2 IP)...Earned win in relief appearance July 31 at Baltimore...Entered game in 11th inning and pitched two shutout innings, allowing just two hits and two walks with two strikeouts...Went 11 straight starts without recording a win to begin Angels career, which tied longest streak in club history (Bill Travers, 1981-83)...April 20 at Detroit, allowed two runs (both unearned) and became Angels first left-handed starter to lose a game without allowing an earned run since Jarrod Washburn Sept. 19, 2004 vs. Texas...Participated in 2014 Japan All-Star Series with other Major League players, including teammate Matt Shoemaker. Went 2-0 with a 1.86 ERA (4 ER/19.1 IP) in four starts and 2-1 with a 3.88 mark (22 ER/51.0 IP) in 38 relief appearances with the White Sox ... averaged 10.1 strikeouts per 9.0 IP (79 SO/70.1 IP) ... began the season as the White Sox closer and converted four of his six save opportunities (66.7 percent) ... allowed 10.5 percent (2-19) of inherited runners to score ... first batters faced went 7-33 (.212) ... opponents hit .202 (22-109) on the road, .094 (5-53) with RISP and .071 (2-28) with RISP/two outs ... allowed seven home runs in his first 10 appearances (10.0 IP) but just five over his final 32 outings ... earned his first Major League save on 4/7 at Texas, tossing a 1-2-3 ninth inning ... became the first rookie to save his team's first win of the season for a first-year manager (Elias) ... was charged with his first blown save on 4/16 vs. Baltimore (2 ER/1.0 IP) after successfully converting his first three chances ... suffered his second blown save on 4/25 at Oakland, allowing three runs over 0.1 IP ... surrendered a game-tying, two-run home run to Yoenis Cespedes and a game-ending single to Kila Ka'aihue in the 14th inning ... picked up his first hold on 5/5 at Detroit ... earned his first Major League victory on 5/8 at Cleveland, throwing 1.0 scoreless IP in relief ... picked up his second win on 6/28 at the Yankees ... recorded four strikeouts in consecutive outings on 7/18 at Boston (3.0 IP) and 7/22 at Detroit (3.1) ... was optioned to Class AAA Charlotte on 7/30 and recalled by the White Sox on 8/17 ... threw a career-high 76 pitches in relief over 3.0 IP on 8/20 vs. the Yankees ... earned the victory in his first career start on 9/3 vs. Minnesota (1 ER/5.0 IP) ... surrendered just one hit with 10 strikeouts over 7.0 scoreless IP on 10/1 at Cleveland ... according to Elias, became the second rookie since 2000 to register 10-plus strikeouts and allow two or fewer baserunners in a start (Johnny Cueto, 4/3/08 vs. Arizona) ... the 10 strikeouts were the most by a Sox rookie since Jason Bere on 9/20/93 vs. the Angels (12) ... became the first pitcher since 1969, when the save rule was instituted, to record a save in his season debut (4/7 at Texas) and register 10 strikeouts in his final appearance (source: Elias) ... made five appearances with Gigantes de Carolina in the Puerto Rican Winter League. Was 9-8 with a 3.60 ERA (51 ER/127.1 IP) and 117 strikeouts in 23 combined starts with Class A Winston-Salem and Class AA Birmingham ... was used exclusively as a starter after making 129 of his first 130 professional appearances out of the bullpen ... also made two scoreless relief appearances with the White Sox (5.1 IP) ... his contract was purchased from Birmingham on 6/26 ... made his Major-League debut on 7/6 vs. Kansas City with 1.0 scoreless IP ... also recorded his first strikeout (Eric Hosmer) ... tossed 4.1 scoreless IP with one hit allowed on 7/7 vs. Minnesota ... retired all lefties faced (eight) with the Sox ... was optioned back to Birmingham on 7/19 and spent the remainder of the season with the Barons ... lefties batted .243 (27-111) and right-handers were at .233 (82-352) ... began the season with Winston-Salem ... struck out a season-high 11 batters over 5.0 scoreless IP on 4/16 vs. Kinston ... was promoted to Birmingham on 5/22 ... was 4-1 with a 2.06 ERA (9 ER/39.1 IP) and 33 strikeouts over six starts in may between the two stops ... went 2-0 with a 0.95 ERA (2 ER/19.0 IP) and 18 strikeouts in his final three starts of the season ... went 1-2 with a 3.72 ERA (8 ER/19.1 IP) and 19 strikeouts in 16 relief appearances with Carolina in the Puerto Rican Winter League. Was 4-5 with a 4.15 ERA (28 ER/60.2 IP) and 61 strikeouts in 37 games (one start) with Class A Winston-Salem ... went 1-0 with a 0.00 ERA (7.1 IP) in eight games with Carolina of the Puerto Rican Winter League. Went 4-4 with a 3.88 ERA (25 ER/58.0 IP) and 66 strikeouts in 38 games with Winston-Salem ... averaged 10.2 strikeouts per 9.0 IP ... pitched in nine games for Caguas in the PRWL. Spent the entire season with Class A Kannapolis, going 5-1 with a 4.06 ERA (29 ER/64.1 IP) and 83 strikeouts in 38 games ... averaged 11.6 strikeouts per 9.0 IP ... went 2-1 with a 4.70 ERA (8 ER/15.1 IP) in 17 games with Caguas of the PRWL. Made his pro debut with Advanced Rookie Bristol. Did not play after signing on 5/22/07 ... was recommended/signed by Chuck Fox. January 11, 2019 New York Mets signed free agent LHP Hector Santiago to a minor league contract and invited him to spring training. 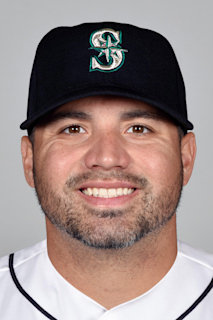 January 11, 2019 LHP Hector Santiago assigned to Syracuse Mets. October 29, 2018 LHP Hector Santiago elected free agency. March 28, 2018 Chicago White Sox selected the contract of LHP Hector Santiago from Charlotte Knights. February 14, 2018 Chicago White Sox signed free agent LHP Hector Santiago to a minor league contract and invited him to spring training. February 14, 2018 LHP Hector Santiago assigned to Charlotte Knights. November 2, 2017 LHP Hector Santiago elected free agency. September 1, 2017 Minnesota Twins transferred LHP Hector Santiago from the 10-day disabled list to the 60-day disabled list. Upper thoracic back pain and discomfort. August 29, 2017 Minnesota Twins sent LHP Hector Santiago on a rehab assignment to Rochester Red Wings. July 25, 2017 Minnesota Twins sent LHP Hector Santiago on a rehab assignment to Rochester Red Wings. July 5, 2017 Minnesota Twins placed LHP Hector Santiago on the 10-day disabled list retroactive to July 3, 2017. Upper thoracic back pain and discomfort. June 27, 2017 Minnesota Twins activated LHP Hector Santiago from the 10-day disabled list. June 21, 2017 Minnesota Twins sent LHP Hector Santiago on a rehab assignment to Rochester Red Wings. June 7, 2017 Minnesota Twins placed LHP Hector Santiago on the 10-day disabled list. Left shoulder strain. May 3, 2017 Minnesota Twins activated LHP Hector Santiago from the bereavement list. April 28, 2017 Minnesota Twins placed LHP Hector Santiago on the bereavement list. October 14, 2016 LHP Hector Santiago assigned to Gigantes de Carolina. August 4, 2016 Minnesota Twins activated LHP Hector Santiago. August 1, 2016 Minnesota Twins traded RHP Ricky Nolasco, RHP Alex Meyer and cash to Los Angeles Angels for LHP Hector Santiago and RHP Alan Busenitz. June 10, 2014 Los Angeles Angels recalled LHP Hector Santiago from Salt Lake Bees. May 21, 2014 Los Angeles Angels optioned LHP Hector Santiago to Salt Lake Bees. December 10, 2013 Los Angeles Angels traded LF Mark Trumbo and Player To Be Named Later to Arizona Diamondbacks for LHP Hector Santiago and LHP Tyler Skaggs. December 10, 2013 Arizona Diamondbacks traded CF Adam Eaton to Chicago White Sox for Hector Santiago and Player To Be Named Later. August 17, 2012 Chicago White Sox recalled Hector Santiago from Charlotte Knights. July 30, 2012 Chicago White Sox optioned Hector Santiago to Charlotte Knights. October 6, 2011 Hector Santiago roster status changed by Chicago White Sox. July 20, 2011 Chicago White Sox optioned LHP Hector Santiago to Birmingham Barons. June 26, 2011 Chicago White Sox recalled Hector Santiago from Birmingham Barons. May 22, 2011 Hector Santiago assigned to Birmingham Barons from Winston-Salem Dash. March 17, 2011 LHP Hector Santiago assigned to Chicago White Sox. October 22, 2010 LHP Hector Santiago assigned to Gigantes de Carolina. October 22, 2010 Gigantes de Carolina activated LHP Hector Santiago. March 13, 2010 LHP Hector Santiago assigned to Chicago White Sox. November 11, 2009 LHP Hector Santiago assigned to Criollos de Caguas.